Preparing for the 8th anniversary of the opening of the UNEVOC center, we remember how it all began. On December 7, 2012, there were many official guests at the Bashkir Institute of Social Technologies: Grigory Ordzhonikidze, Deputy Director of the Department of International Organizations of the Ministry of Foreign Affairs of the Russian Federation, Executive Secretary of the Commission of the Russian Federation for UNESCO; Ksenia Gaverdovskaya, Secretary of the Commission of the Russian Federation for UNESCO; Valery Neronov, Deputy Chairman of the Russian Committee for the UNESCO program “Man and the Biosphere”; Elvira Kunina, President of the Russian House of Folk Arts, Chairman of the Russian Committee for the Preservation of Intangible Cultural Heritage by UNESCO; Evgeny Kuzmin, Chairman of the Russian Committee of the UNESCO Program “Information for All”; Alfis Gayazov, Minister of Education of the Republic of Bashkortostan; Ulfat Yumaguzin, Executive Director of the UNESCO Committee of the Republic of Bashkortostan; Syntimir Bayazitov, Deputy Head of the Administration of the City District, the city of Ufa, Republic of Bashkortostan. 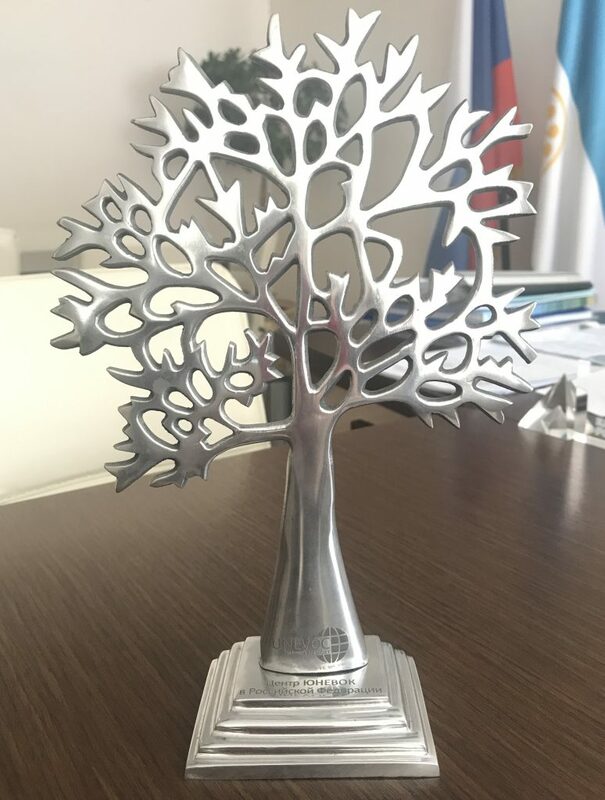 In a solemn surroundings of the Conference Hall – Grigory Ordzhonikidze and Alfis Gayazov cut the ribbon; Tanzilya Nigmatullina, the director of UNEVOC centre, handed them and Ulfat Yumaguzin a symbol of our Center – a tree as a sign of the development and prosperity of the ideas of the UNESCO-UNEVOC movement. The grand opening of the UNESCO-UNEVOC Centre in the Russian Federation on the basis of Bashkir Institute of Social Technologies (branch) of the Academy of Labor and Social Relations took place on 7 December 2012. The Republic of Bashkortostan is the place where Europe meets Asia, the place where you find major Eurasian ethnic groups that define ethnographic, cultural and historical, social and psychological portrait of modern Russia. This is why the decision to create UNEVOC Centre in the Republic of Bashkortostan seems logical and valid. Besides, the need to establish the Centre is determined by the drive to create innovative organizational forms of cooperation of the following kind: School — Primary Professional Education — Secondary Professional Education — Higher Professional Education — Postgraduate Education, as an educational clustered module that assists young people in entering the modern world of professional labour and in their successful socialization. 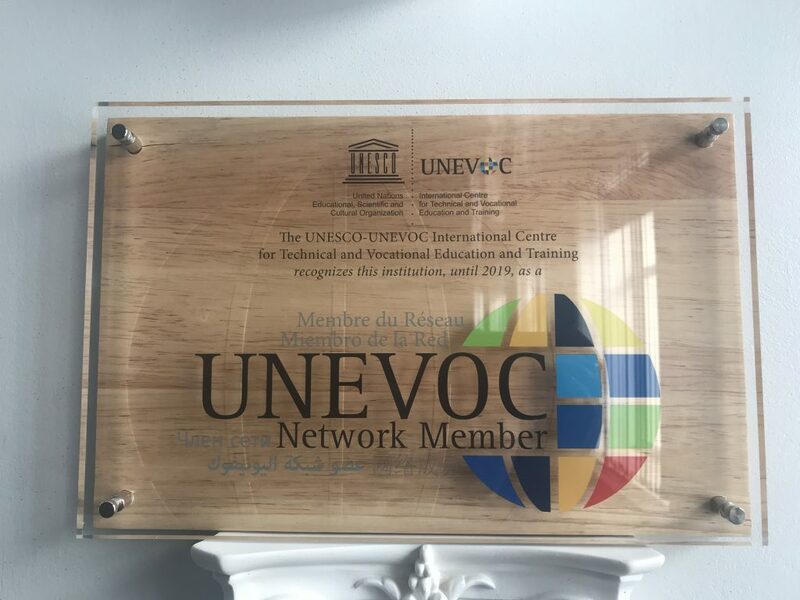 The Centre works under the UNESCO Charter and the agreement between UNESCO-UNEVOC International Centre (Bonn, Germany) and Bashkir Institute of Social Technologies (branch) of the Academy of Labour and Social Relations. Bashkir Institute of Social Technologies meets all the criteria for the implementation of the basic UNESCO principles: highly qualified team of professors and lecturers, high level of quality of education, confirmed by the Conformance Certificate of Quality management system requirements GOST ISO 9001:2008, by the Conformance Certificate of International Quality management system requirements ISO 9001:2008, by the Diploma of the winner of the Republican Contest for the best Quality Management System, by the Diploma of the All-Russian Contest for Top-100 Products of Russia; up-to-date material and technical base, scientific laboratories, experience in the ­UNESCO International activities. encouraging tolerance, international harmony and preservation of cultural traditions of different nations. All this will allow the Republic of Bashkortostan and the Ural region as a whole to position itself as an economically developed territory, socially comfortable for the population, as one of the scientific and educational Centers of advanced international educational quality standards in Russia and abroad. providing people with wider access to projects aimed at skill development in order to implement article 26 of the Universal Declaration of Human Rights, as well as requirements and standards relating to vocational education and training. The goal of the Centre is to develop (taking into account best domestic and foreign experiences) the policy and practice of vocational education, that contribute to educating specialists of highest qualification who can demonstrate professional and cultural competences required by mo­dern society. implementing the Centre mission through the system of continuous general and vocational education «school — college — University — postgraduate study» as a «social elevator» for the youth to integrate into the modern world of professions and successful socialisation. Thus, the UNEVOC Centre activities in BIST will be directed at combining human resources with intellectual and spiritual potential of the international society; at implementing regional educational model into the Russian and International framework of global education in response to modern reality.